1Department of Chemical & Polymer Engineering, Tripura University (A Central University), Suryamaninagar, Tripura 799022, India. 2School of Basic & Applied Sciences, Central University of Punjab,Bathinda-155110, Punjab, India. 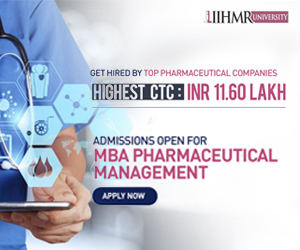 3 Department of Pharmaceutical Sciences and Technology, NSHM Knowledge Campus, Kolkata- 700053, India. 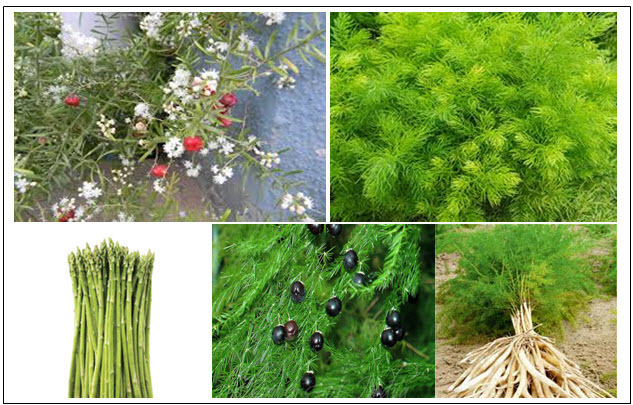 ABSTRACT: Asparagus racemosus (A. racemosus) is a well-known medicinal plant due its various application in Ayurveda. It contains various type of secondary metabolite active natural products (or ingredients) such as steroids, alkaloids, flavonoids, furan derivatives and essential oils. In the present scenario due to growing catastrophic effect of diseases in human life, researchers are trying to stop synthetic drugs by replacing with herbal drugs. Herbal drug treatments are in general used to provide first-line and public health provider, both to persons abode in faraway areas the place it is the only on hand wellness service, and to people residing in bad areas the place it offers the one cheap relief. In this point of view A. racemosus can show a new path of herbal treatment. Medicinal plants are the nature’s gift to human being to cure disease and make healthy life. Herbal medicine is still the backbone of about 75-80% of the total population, mainly in developing nations, for primary health care because, better compatibility with the human body and fewer side effects (Barmet, 1992). 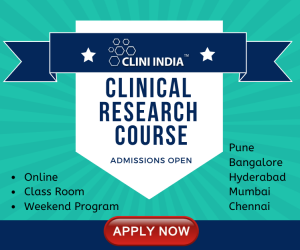 In India thousands of species are known to have medicinal importants and the use of different parts of several medicinal plants to cure specific ailments has been in trend since ancient times (Parekh, Jadeja, & Chanda, 2006). Herbal medication, also called botanical treatment or phytomedicine, denotes to the use of any plant's parts such as seeds, berries, roots, leaves, bark, or flowers for medicinal purposes. Shatavari means who hold potential to cure “hundred diseases or suitable to many” (Bopana & Saxena, 2007). Asparagus racemosus (Shatavari) is encouraged in Ayurvedic texts for the prevention and medication of gastric ulcers, dyspepsia and as a galactogogue. A. racemosus has additionally been used by some Ayurvedic practitioners for worried problems. It is considered as huge efficient tonic both for male and female for fertility from long time. Due to its remarkable Pharmacological activity, in Ayurveda Sastra it is known as “Queen of herbs” Shatavari is known in various name in various part of India and also around the globe. . Use of A. racemosus is vindicated in ancient literature of Ayurveda (Charaka Samhita)(Chawla, Chawla, Mangalesh, & Roy, 2011). Its medicinal uses has been reported in the Indian Pharmacopoeias and British Pharmacopoeias and in traditional system of medicine such as Ayurveda, Unani and Siddha. In recent years, a large number of plant products have been inspected for their antimicrobial stuffs against bacteria and fungi. The study will also confirm if there is a biological basis to the claim that the ethnomedicinal plant has useful medicinal purposes (Cowan, 1999). It was first botanically defined in 1799(GRIN). It grows one to two meters tall and desires to take root in raspy, stony soils high up in piedmont plains, at height 1300-1400 m altitude (Freeman, 2009). A. racemosus is a common and important medicinal plant which grow up all over the India, Sri Lanka, and Himalayas & over the World. Due to its various medicinal application the demand of A. racemosus is constantly increases, because of destructive harvesting, combined with habitat destruction and deforestation this plant fall in a risk situation. In Thailand roots of the tree have been used for treatment of spleen, liver and other internal organs (Wiboonpun, Phuwapraisirisan, & Tip‐pyang, 2004). In India, generally roots are utilized as a remedy for internal pains, tumors, fever and as a tonic (Kala, 2009). A. racemosus is a woody climbing plant growing to 1-2 m in length. The leaves are small like pine needles, uniform and shiny green, flowers are white and have small spikes and in September month it fruits, producing blackish purple like globular shapes. 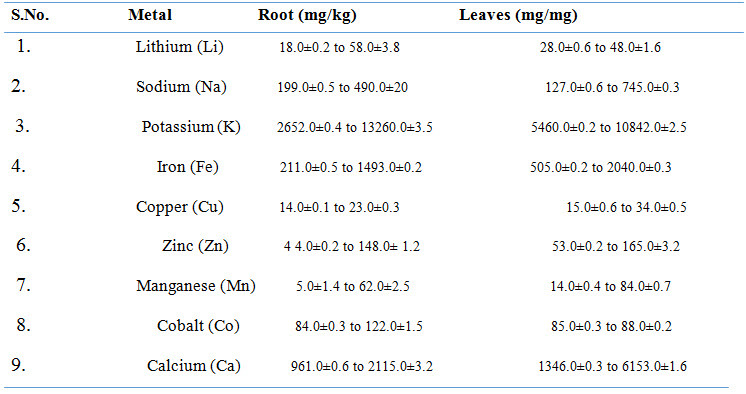 Table 1: traces elements (alkaline earth metals & transition metals) extract from Asparagus Racemosus. 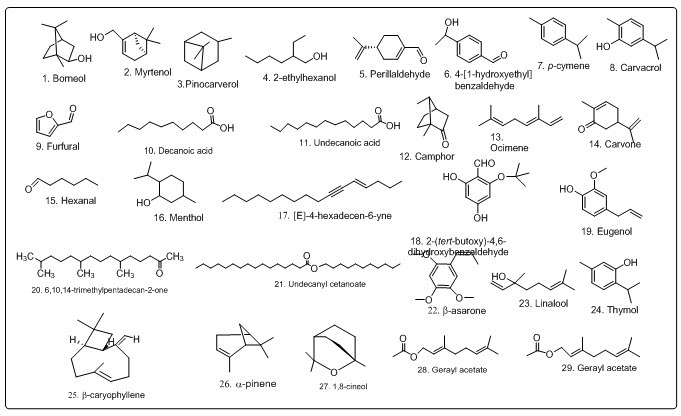 A. racemosus consists of a diverse range of bio active and medicinally importance molecules in which major constituent is steroidal saponins along with alkaloids, flavonoids, dihydrophenanthrene derivatives, furan derivatives (table 1) and volatile constituents (figure 2-3). Twenty nine steroidal saponins were reported from A.Racemosus. 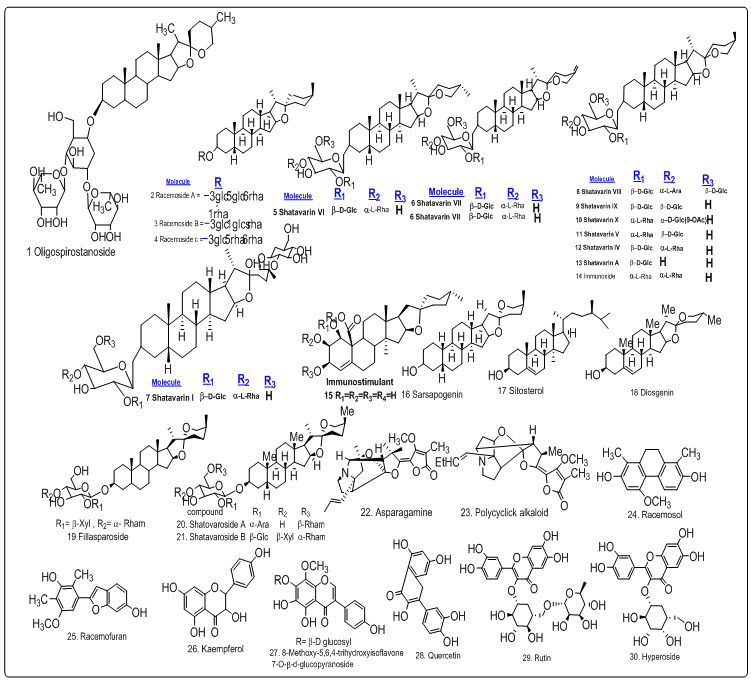 An oligospirostanoside named 3-0-[α-Lrhamnopyranosyl-(1→2)-α-L-rhamnopyranosyl(1→4)-O-β-D-glucopyranosyl]-25(S)-spirosta-3βoil is obtained from A. racemosus which on oral administration potentiated antibody synthesis and enhanced cell-mediated immune response in immune cooperated animals (Handa et al., 2003). Asparagus racemosus could be a principal healthful plant of tropical and semitropical India. Its healthfulutilization has been pronounced within the Indian and British formulary it's very often known for its phytoestrogenic residences. In written material, Asparagus racemosus has been delineated as a rasayana herb and has been used unremarkably as an adaptogen to expand the non-distinctive resistance of organisms against a spread of stresses except use inside the healing of symptom and infectious disease, the plant additionally has inhibitor, immunostimulant, antidyspepsia and medicament results. The roots area unit usedin Ayurvedic medication, following a programme of process and drying. It's commonly used as a female internal reproductive organ tonic, as agalactogogue (to provides a boost to breast milk), in acidity, and as a best common wellbeing tonic (Nag, Mukherjee, Roy, Paul, & Sahidul). A. racemosus is a outdated galactogogue both in animals and human’s therapy of duodenal ulcer with A. racemosus was mentioned. Antioxitocin action of this plant had been recognized and immunomodulatory properties are ascribed to the basis. The presence of antifungal and antimicrobial compounds in the higher plants is well established as they have delivered a source of inspiration for novel drug compound as plant derived medicines have made significant contribution towards human the treatment of diseases as is done in cases of Unani and Ayurvedic system of medicines.